“Joy in Bathing” could be a refrain of all water birds. It’s an essential function because it cleans & protects their feathers, of course. But one has to assume they are having a good time too! As well as cleaning their feathers, they’re performing for each other and often seeking a mate. 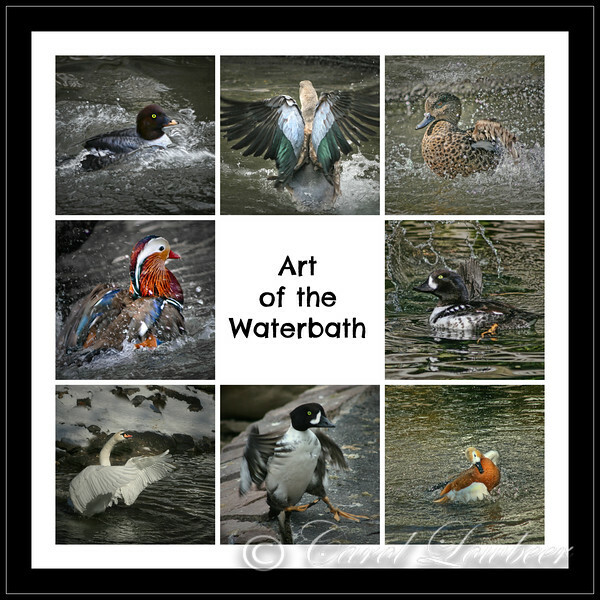 In this collage, you’ll see 8 different species with their own version of water play. Never have we seen so much splashing about! Barrows Golden Eye HenBlue Winged GooseFalcated HenBarros Golden Eye DrakeMute SwanBarrow Golden Eye Drake standing and Ruddy Shelduck.